Radical chair dude! 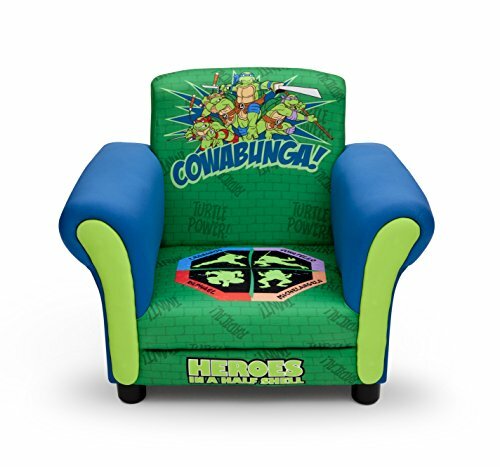 A comfy place to land after a long day fighting off bad guys, this Ninja Turtles Upholstered Chair from Delta Children features a sturdy hardwood frame, padded seat and cool graphics of everyone's favorite Turtles. 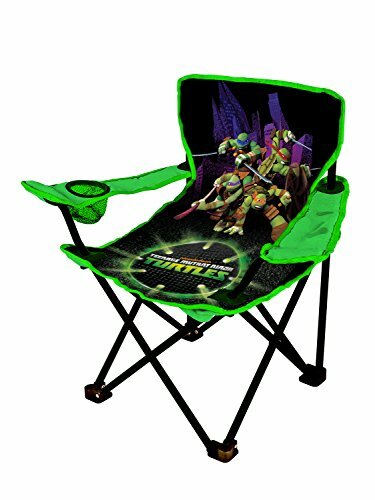 The Teenage Mutant Ninja Turtles Patio Chair has colorful character graphics and is great for indoors or outdoors. Sturdy metal tubular construction. Folds for easy storage. Each chair has a safety locking mechanism. No assembly required. Cowabunga dude! 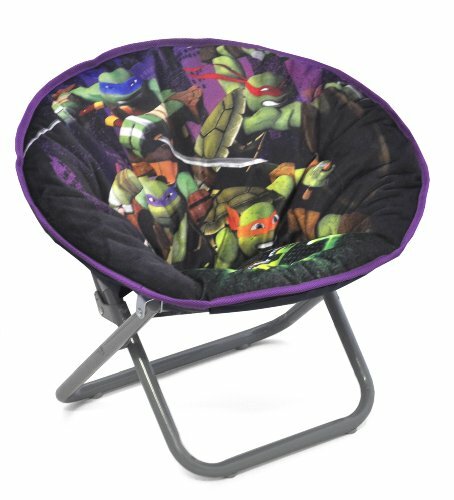 Add some Turtles flare with the Nickelodeon Teenage Mutant Ninja Turles Convertible Chair. The chair unfolds to a lounge chair or bed with pillow - 3 seating options in 1! It is perfect for any room. The soft polyester fabrication is spot clean only. 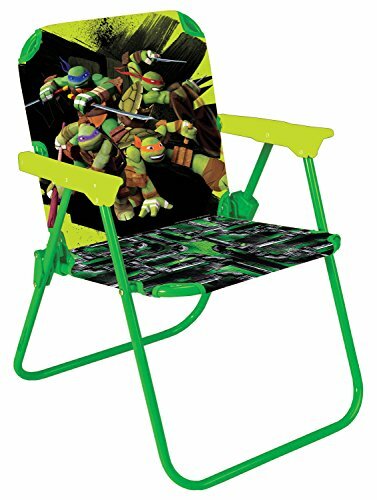 Dimensions: 28.5"L x 29.5" W x 23" H.
Children will love this teenage mutant ninja beach or camp chair. It is light weight, foldable, sturdy and made with durable material. For indoor or outdoor use. Features. Chair capacity: 81Lbs/36.80Kg.Foldableproduct details. Frame material: metal. Foldable: Yes. Casters: no. Outdoor use: Yes. Weight capacity: 81lb..assembly required: no specifications features frame material metal foldable Yes casters no outdoor use Yes weight capacity 81 pounds product type chair Armrest Yes carrying handle Yes finish Green/black headrest Yes hardware finish black wood construction type no wood theme TV character arms included Yes chair type beach and camping chair footrest included no legs included Yes number of legs 4 leg material metal ottoman included no age Group 3 to 4 years country of manufacture China assembly required no additional parts required no. 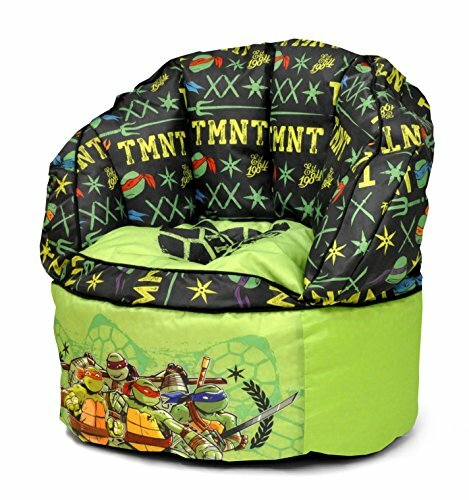 Give your child their own place to lounge in your home with the Nickelodeon Teenage Mutant Ninja Turtles Toddler bean bag chair. It features graphics and designs of his or her favorite characters from Teenage Mutant Ninja Turtles. It serves as the perfect spot for them to read, watch TV or simply relax in style. It's lightweight, making it easy to move from room-to-room in your home. The chair is ideal for toddlers and small children. The nylon fabrication is easy to clean with a damp cloth. It is 100% polyester and is filled domestically in new Jersey! its maximum weight capacity is 81-pounds. No assembly is required. 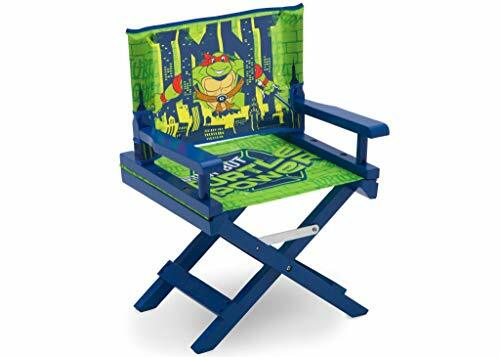 Dimensions: 16"W x 19"H x 18"L.
Coming soon to a playroom near you: the Nickelodeon Teenage Mutant Ninja Turtles Director's Chair from Delta Children! 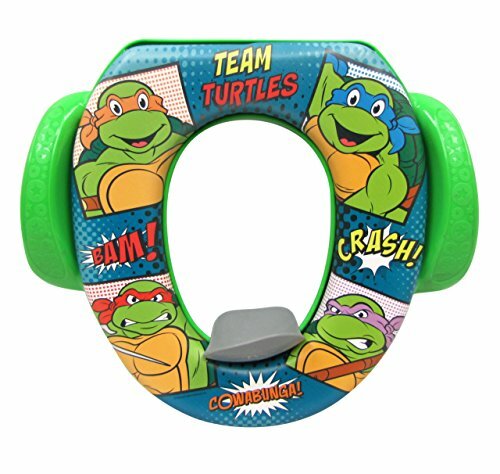 A comfy, adaptable and practical toddler chair, it's the perfect size for your mini TMNT fan. Featuring colorful graphics of Raphael, this fun seating option is ready for its close-up. 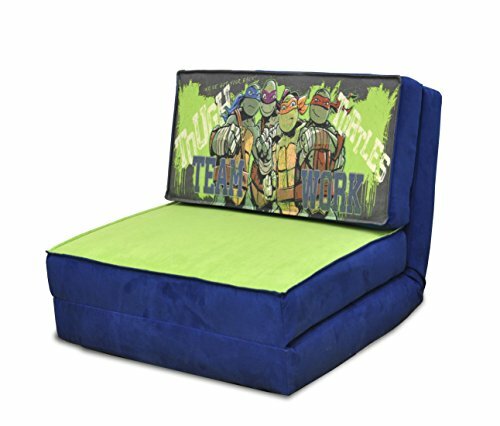 Ninja Turtles Bean Bag Chair And Body Pillow Super Nice!